When Narragansett re-launched their brand I assumed they would focus on their lager, a well-made and local alternative to big beer adjunct lagers. I was a little surprised when they pushed heavily into the craft space with their seasonal and special release beers. Part of this has been a focus on their home state of Rhode Island, many of their beers feature tie-ins to local businesses or people. This is again the case with their recent Lovecraft Honey Ale. Lovecraft is named in honor of horror author H.P. Lovecraft who spent the majority of his years writing in Providence. Lovecraft’s work wasn’t appreciated while he lived, but later inspired many famous authors, musicians and filmmakers. Narragansett brewed Lovecraft Honey Ale as a collaboration with local upstart Revival Brewing Company. It is an American amber ale brewed with significant amounts of honey malt. Lovecraft Honey Ale is available for a limited time on draft and in 16 oz. tallboy cans. 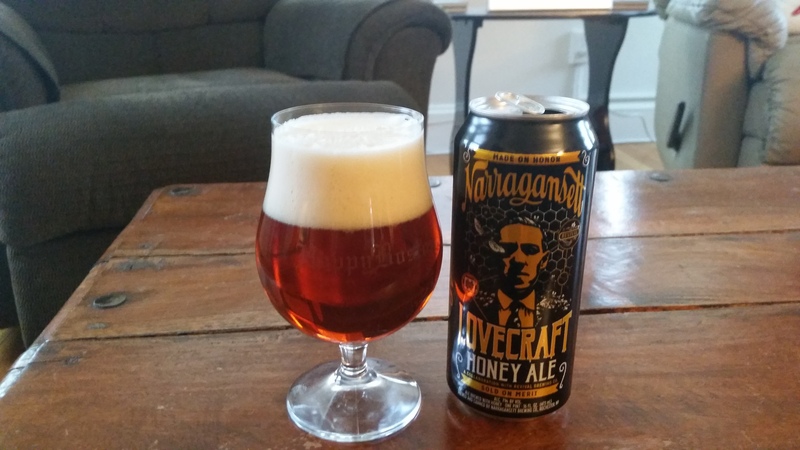 Narragansett/Revival Lovecraft Honey Ale pours a deep copper with a monstrous off-white head. The scent is subtle, some mild maltiness along with a bit of floral hops. The malts lead the flavor, touches of graham cracker, toast, caramel and a little honey. This is followed by a solid hit of hops, touches of grass and earth along with a bitter kick. The beer is medium bodied and goes down smooth, I was a little surprised it was 7% ABV. The finish has a little malt sweetness along with crisp hoppiness. Lovecraft is a solid beer, a good selection for springtime. I am looking forward to further specialty releases by Narragansett. 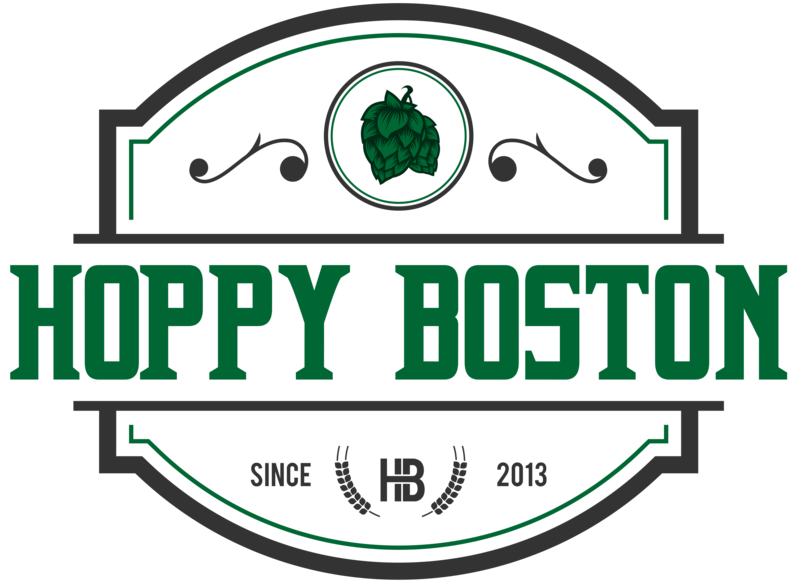 Hoppy Boston score 4.0/5.